I was sent a copy of this book for review purposes via NetGalley. After her husband's death, Ruth discovers some letters written for her to read after his passing. He wants her to revisit their special places and scatter some of his ashes in each location. Each letter has a different story and destination and they all piece together so the reader gets to know both Ruth and Trip ( his nickname since college days ) and their lives together. We are also brought along Ruth's journey through grief, anger, and doubts as she struggles to adjust to widowhood. Each chapter contains a letter from Trip and the outcome of Ruth's response to the said letter. She is only allowed open one at a time, on completion of the ash scattering. There are also insights into the marriage of Trip and Ruth, sometimes corny, sometimes sad, but very real and heartfelt. Similar in style to "One Day" by David Nicholls and with a nod to "PS I love You" by Celia Ahern, this is a lovely, warm and affectionate read that I devoured in one sitting. 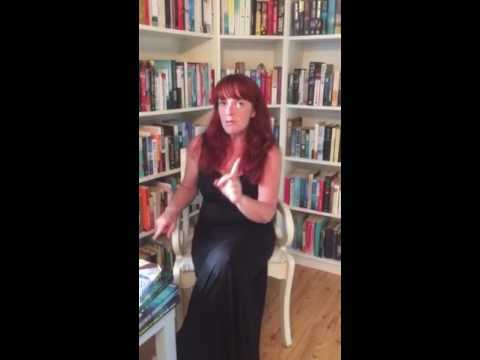 I'm not sure how co-writing works, does each author take the voice of a different character or do they bounce ideas off each other and combine them? It doesn't really matter, as this pair have worked well together and produced a great book that should appeal to readers of all ages from teens to pensioners. 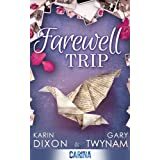 Farewell Trip is published by Carina and is available in ebook format.